April 27, 2016 April 24, 2016 / Elizabeth T.
It’s already the middle of the week! We’re almost there! Continuing on the topic of Spring Cleaning (catch the Wardrobe Edition here if you missed it), today, I’m back with another post in this series – the Vanity Edition! 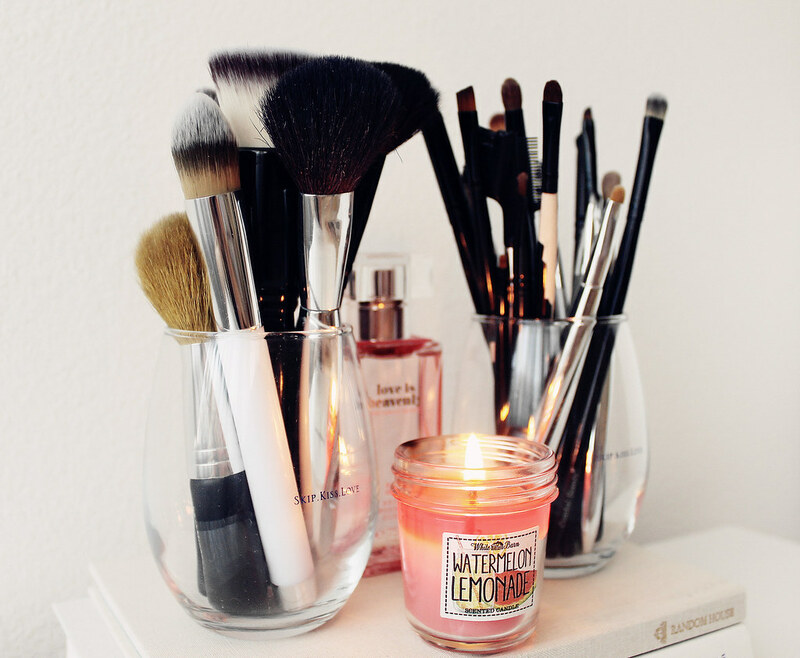 Before I deal with the clutter of all of the makeup products on my vanity, I make sure to clean up all of my brushes first because the tools that we use to apply makeup are so important, don’t you agree? I always make sure to wash my brushes once a week, but I generally only clean the ones that I use the most frequently, such as my powder brush, my eyebrow and eyeliner brushes, as well as my cushion puffs. Once I’m done with all of the makeup brushes, I can finally get started on decluttering all of the things that are just sitting on my vanity! First off, I like to give all my nail polishes a good look, making sure to throw out ones that are dried out. Then, I pick out a few of my favorite colors for the spring, like these beautiful pastels and sparkly glitters, leaving the rest to be stored away in my drawers for the fall or winter. 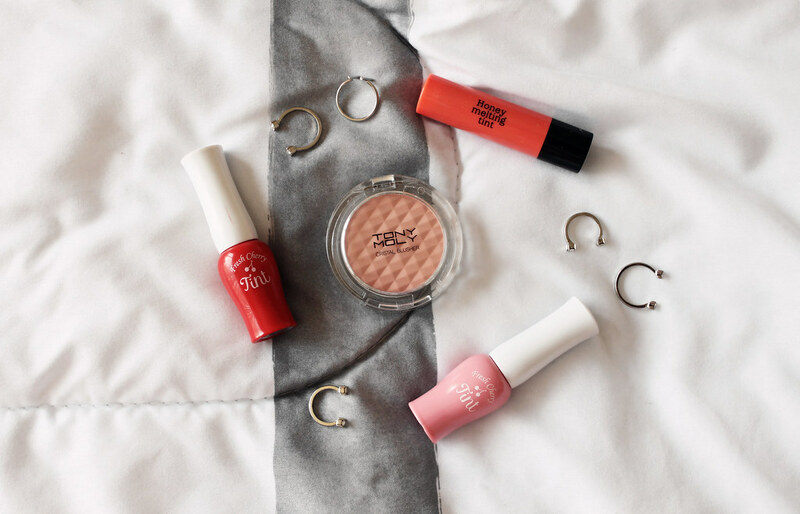 Moving on to the staples of spring makeup, I pick out some of my favorite spring-colored lip tints and blush (because what’s warmer weather without bright lips and rosy cheeks). Some of my favorite lip tints of all time are the lip tints from Etude House because they’re so easy to use, and the color lasts forever (even after eating)! Aside from makeup, I also make sure to freshen up my body care routine, and what better way to do so than by incorporating some rose-infused products into my regimen? 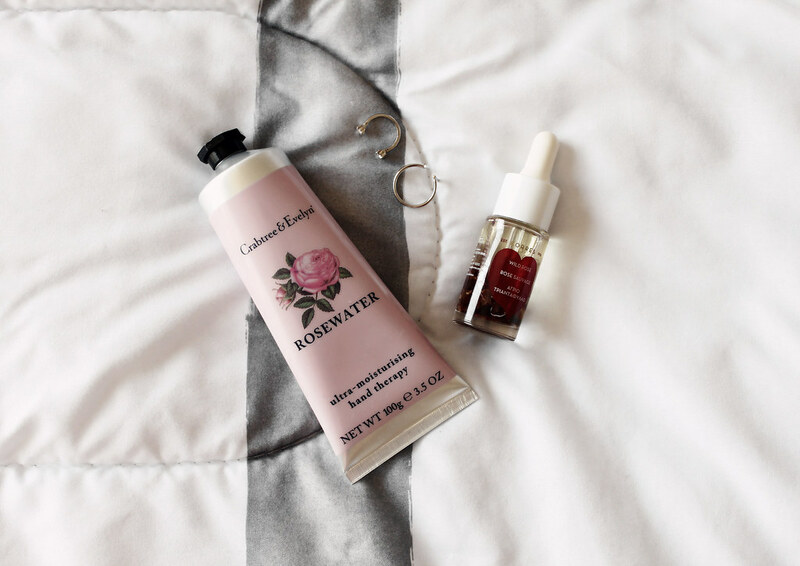 I’ve always been a loyal fan of Crabtree & Evelyn‘s incredible hand therapy creams, and my absolute favorite of theirs has got to be the Rosewater one. Not only does it make my hands super soft, the ultra feminine and delicate scent of roses just smells heavenly – absolutely perfect for the spring! A little tip for spring cleaning – don’t hesitate to bring out some of those floral scented products for the warmer days because they’re so light, fresh, and delicate! Hahaha I’m glad you liked the products that were featured in this post! 🙂 Cleaning always makes me feel so good once I’m done ❤ Thank you so much for stopping Kay! Great tips! I’m terrible at cleaning, but this post definitely left me inspired! Hahaha cleaning is pretty time-consuming, but I always feel so good about myself when I’m finished ❤ 😀 I'm glad you liked this post, and thank you so much for stopping by! I do the exact same thing! I get rid of old brushes and makeup items I never use and incorporate some new steals for the warmer weather. Lighter colours and sparkles are usually my go to for the spring and summer. 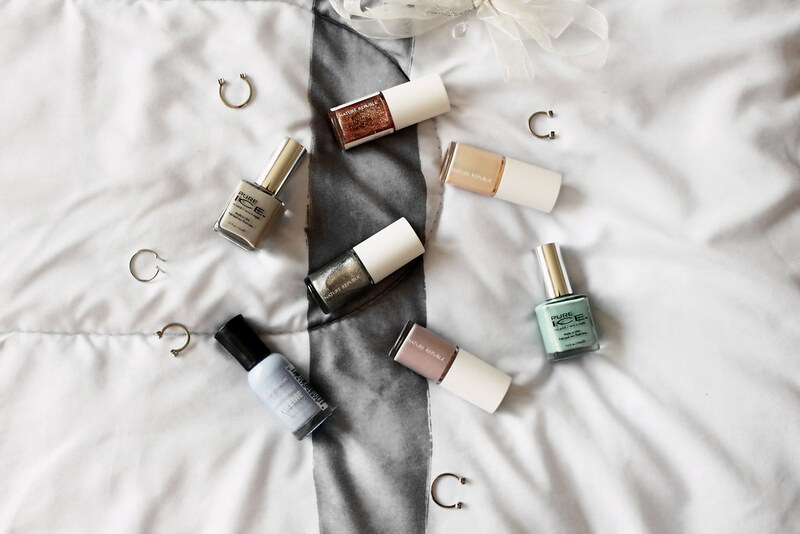 Love this post, and the nail polishes you have- especially the light blue/purple shade! Great minds think alike, Diana 😀 Hahaha lighter colors and sparkles are perfect for the spring and summer! And aww thank you so much! Those have been my go to nail colors for the past few weeks! Thank you for the tips, Elizabeth! I’m glad you liked them Elise ❤ 🙂 Thank you so much for stopping by love! Great post, I really need a good spring clean! Your products all sound really interesting! Hahaha cleaning up my makeup vanity always makes me feel so inspired for some reason ❤ 😀 Haha and besides, it clears up some space for some new purchases too! Thank you so much for stopping by Carmen! Haha yes! Spring cleaning for all of my makeup makes me feel so happy and accomplished 🙂 Haha very creative idea, Tiff! Thanks so much for stopping by!